At the end of the project we accumulated our thoughts, experiences and knowledge into a couple of manuals, reports and other educational material. Read more about it here! 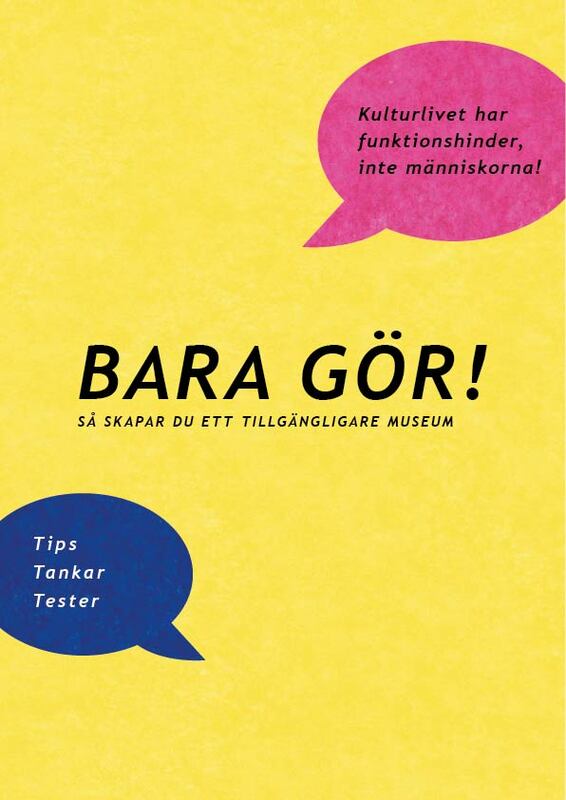 This manual tells you all about our method and how you produce accessible exhibitions and events. Please note that this is only an english summary of the contents. For full summary in swedish, click here .